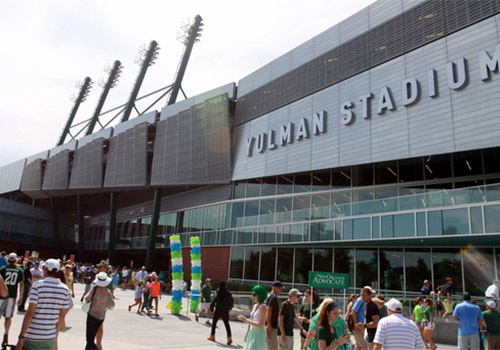 When Yulman Stadium, Tulane University’s brand new 30,000-seat stadium opened its doors on September 6, 2014, it generated big fanfare — literally. Single-game tickets for the home opener against Georgia Tech sold out in 14 minutes. 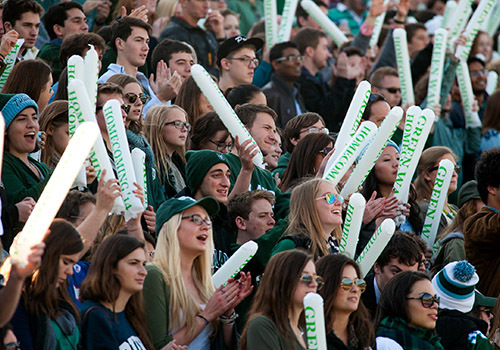 Students picked up about 5,000 tickets, 40 percent of the entire university’s undergraduate and graduate enrollment. Based on the New Orleans campus, Yulman replaced the Superdome as the home stadium of Tulane Green Wave football after 39 seasons at that venue, cutting the commute for fans while also creating a surge in school spirit. 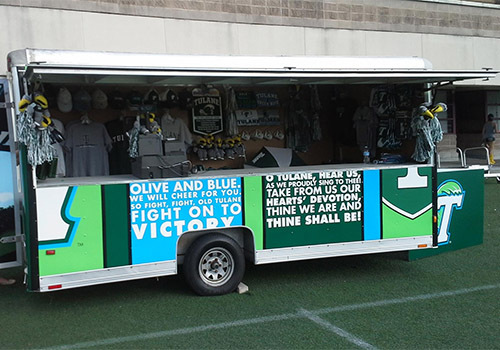 To feed that incredible school spirit is the Tulane Green Wave Sports Shop, operated by Barnes & Noble College. Located adjacent to the stadium in the Wilson Athletics Center, the shop is conveniently located for students and alumni looking for great gear to support the Green Wave. “The store is beautiful, it’s a great location, and people have been really happy with it,” said Larry Jones, who manages the store as well as Tulane’s two campus bookstores for Barnes & Noble College. 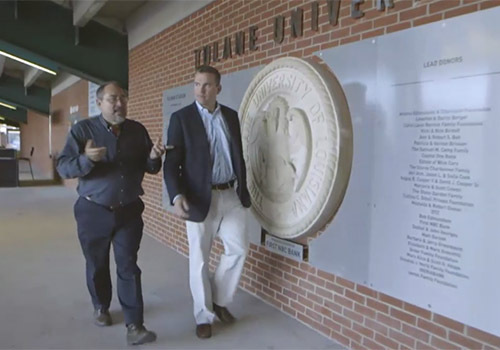 Tulane Green Wave Sports Shop Manager Larry Jones (left) walks with Tulane University’s Executive Associate Athletics Director Brandon Macneill inside Yulman Stadium. Because of Tulane’s successful relationship with Barnes & Noble College, there was little doubt who would manage the Green Wave Sports Shop. “We had enjoyed a tremendous partnership with Barnes & Noble for years with our bookstores, and it just made such sense to partner with them on this, too,” Macneill says. Barnes & Noble College has operated the Tulane University bookstores since — the uptown campus bookstore located in the Lavin-Bernick Center for University Life and the medical bookstore housed on the first floor of the medical school — since 1990. The bookstores offer textbooks, the latest offerings from Tulane authors and other popular reading materials, as well as Tulane apparel, gear and gifts.